Questions about St. George Island, Apalachicola, Eastpoint or Carrabelle Real Estate? Call Pandora at (850) 653-6690 or click here to email. Welcome to the hidden jewel of Florida's Panhandle, unique for low population density and pristine beaches, marshlands, rivers and bays. As you meander the Forgotten Coast from historic Apalachicola to the charming fishing communities of Eastpoint and Carrabelle and cross Apalachicola Bay to the barrier islands of St. George Island and Dog Island, you will find abundant saltwater and freshwater fishing, acclaimed white sand beaches, a fascinating variety of wildlife and sea creatures, and the most relaxing of coastal atmospheres. The process of purchasing and selling property in such a remarkable world is complex. What are the best deals for St. George Island beach homes for sale or beach lots for sale? How close to the Gulf of Mexico open fishing waters are homes and lots for sale in Carrabelle, Apalachicola, Eastpoint or St. George Island? How do you finance Florida beach homes for sale or Florida lots for sale? What types of inspections are necessary? How do coastal building codes alter house design? 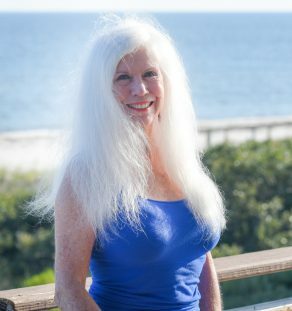 For answers to these questions or to learn more about St. George Island, Carrabelle, Apalachicola, homes for sale and lots for sale, Call Pandora Schlitt, your Forgotten Coast Real Estate Expert!